As you can see, this is my second post of the night...I have a huge backlog of reviews to catch up on, and while it's the holidays, I'll probably be doing two posts a day until I've caught up. I'm sure you're all looking forward to double Stevee every day! (That was a joke, by the way). CHRISTOPHER: Well, this is new. I've never interviewed an animated feature. 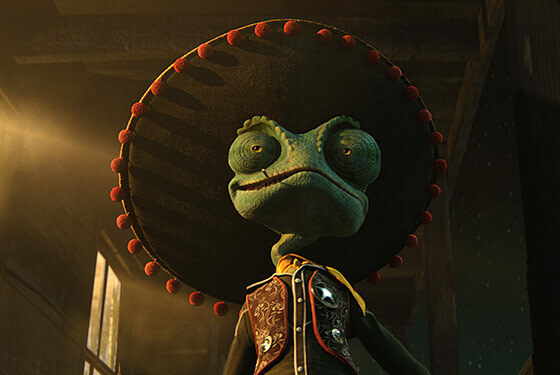 RANGO: I guess those PIXAR movies are just too high-shelf for ya, huh? C: Yes, and The Room. But I'd say other than that I only interview the best. R: Get your dirty, webbed phalanges off of my boots! C: I'm sorry, I wasn't watching where I was going...anyway. Tell me a bit about yourself. C: Oh really? I wasn't aware of that. R: Don't you sass me, sir. C: Well? You're funny looking too. R: That's a funny looking shirt. C: That's a funny looking animation style. R: You got funny looking eyes. C: You got a funny looking face! C: Oi! Would you just stay here?! I wanna finish this interview! R: I'm going to slice your face off and use it to wipe my unmentionables! C: Would you just remember for once that you're a kids movie?! R: I know I am a kids movie. I'm a fun kids movie. I'm the kids movie that every kids movie wants to be. Because, you know, most of them don't have Johnny Depp, do they? C: No, they don't. Let's try rephrasing this question: what's so special about you that would make Johnny Depp lend his voice? R: He was begging for forgiveness after The Tourist, obviously. C: That's true. He succeeded there. R: Okay okay. I have an awesome story and I am an awesome throwback to some great movies, with all of my pop culture references. 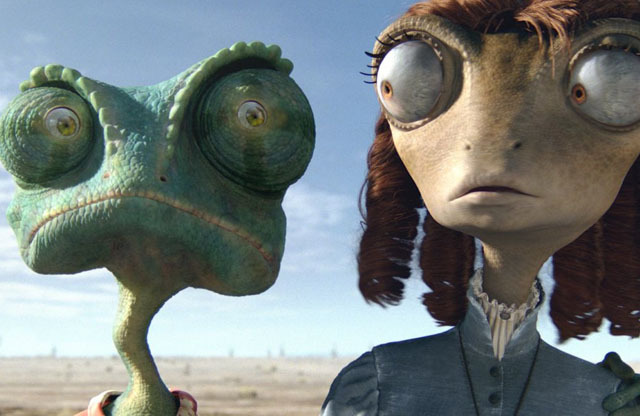 Anyway, I follow the story of an ordinary chameleon, Rango, who is thrown out of his car and left on the side of the road, in the middle of nowhere. What can this poor little chameleon do? He walks a while and manages to find a little village called Dirt, a lawless outpost in the Wild West. It's actually great that he turned up, because now he is the new sheriff of this town. Even though he ain't ever had any experience as a sheriff in his life. C: Sounds interesting. So being set in the Wild West, does this mean you're a bit of a western? R: Yeah, I have a few western in-jokes. I have a really good western feel, which is inevitable considering I'm stuck in the Wild West. Let's just say, there's plenty of horse riding and other stuff of the sort. Oh yeah, and I should mention that the 'Spirit of the West' looks a lot like Clint Eastwood. I guess he's begging for forgiveness after Hereafter, too. C: Considering you're an animated film, I can't really talk to you about your acting. But I did notice that everything sounded very authentic. R: You know, when the actors were doing all the voice work, they were actually given space to act everything out. I thought that gave me a more authentic sound. Plus, the actors are all good at what they do. Johnny Depp, Isla Fisher, Abigail Breslin, Bill Nighy, Alfred Molina, Ray Winstone...all good citizens, aren't they? C: Yes, you have a very impressive vocal cast. In fact, you're a pretty impressive movie, probably one of the best of 2011 so far. R: Yeah well, Gore Verbinski did the right thing, didn't he? He left the latest Pirates of the Caribbean to someone else to make me. Ain't no shame in that. C: I certainly hope that Verbinski tries some more animation in the future...his style here and choice not to go with 3D was brilliant. Anyway, got any last words for our readers? R: Stay in school, eat your veggies and burn all the books that ain't Shakespeare. Nice post Stevee, I REALLY want to see this film! Ha. My mainstream weakness pulls through again. 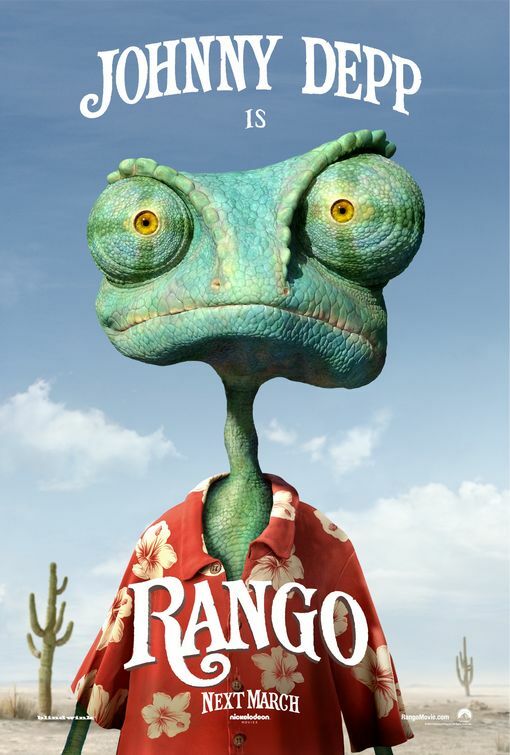 I have not seen Rango. But you better believe your dirty, webbed phalanges that it's high up on my watchlist. 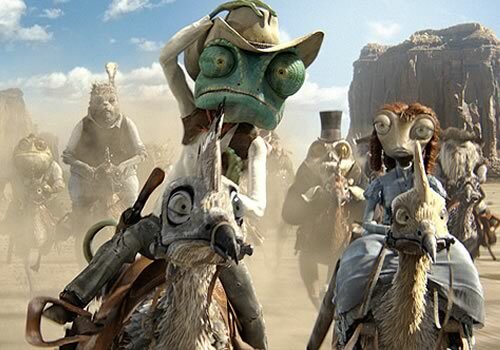 I'm sure you will both enjoy Rango, it's pretty awesome! Is it weird that when I first heard the synopsis for this, I thought it'd be about a cat? And that I want to see the movie. I huess they have it on DVDs here as well.